Tōkyō: Hayakawa Publishing Inc., 1991. 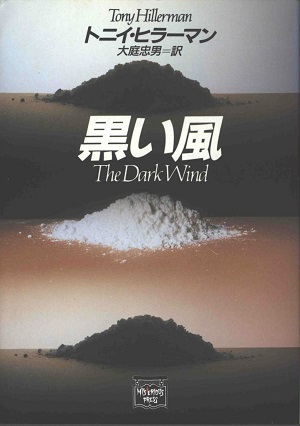 This is the first Japanese edition of The Dark Wind. This edition was published by The Mysterious Press in Tokyo, Japan in 1991. It is a paperback edition with a dust cover, and was translated from English to Japanese by Tadao Oba. The cover design, featuring three piles of cocaine, was created by Shiro Tatsumi. Format: Paperback, 15.6 x 10.7 cm.